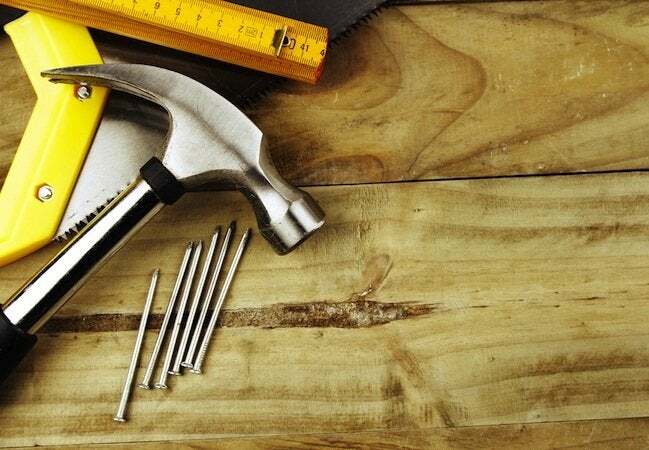 Bob Vila Thumbs Up: The DIY Organizer Competition Starts Today! Vote today and everyday this month to help your favorite blogger win the January Thumbs Up challenge. In 2015, we uncovered some truly incredible DIY projects from a host of talented bloggers. From penny-covered countertops to treasure boxes shaped like logs and beyond, our favorite bloggers have wowed us time and again. Now in the new year, the Bob Vila Thumbs Up competition brings you another round-up of clever DIYs. Help us to welcome 2016 by choosing the first winner of the year! Bob Vila Thumbs Up highlights some of the very best DIY bloggers, and this month we’re shining the spotlight on the inventors of some very clever organizing solutions. Each of these bloggers has proved their skill by creating items that are as practical as they are stylish. Now it’s your job to vote one blogger to take the title of Bob Vila Thumbs Up champion and the winner of the prize—a $250 gift card. So cast your vote today and every day through January 31 to help your favorite blogger become this month’s Bob Vila Thumbs Up winner. After all, only you and your vote can determine the outcome of this competition. Congrats to last month’s winning blogger and champion blogger of 2015, Start at Home. Read more about the winning Bob Vila Thumbs Up project right here.